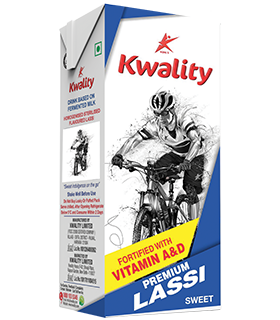 Kwality Ltd. knows the importance of Corporate Social Responsibility towards all stakeholders in particular the rural. No doubt the company has commercial relationship with the rural milk producer and has set up a network of procurement activities. Company is well aware that the community of milk producers should be helped to increase the productivity of their cows and buffaloes through provision of various input facilities including how to reduce milk production cost. 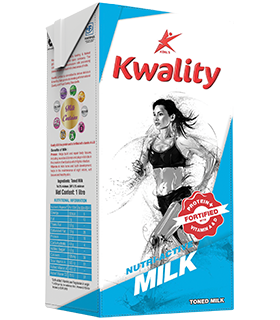 Company is pursuing milk producer’s centric approach and committed to promote transparent and fair milk procurement system. Company has visualized and recognized that milk producers are the major stake holders in the milk procurement system. The purchase of milk is a core commercial activity. 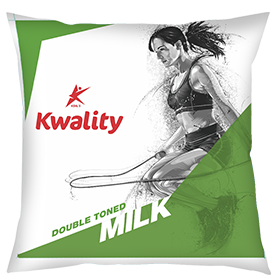 In addition Kwality has mounted milk productivity enhancement programme covering the dairy animals of the milk producers. This is one of the most important imitative taken up as Corporate Social Responsibility. Company provides balanced cattle feed sold on no-profit-no-loss basis to meet with the requirement of dairy farmer’s needs and preferences. Balanced cattle feed is manufactured accordingly feed formulations of the Bureau of Indian Standards. 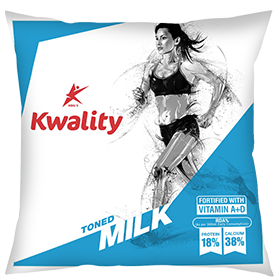 Feed is sold under the brand of DAIRY BEST in 40 kg bags in mash form. 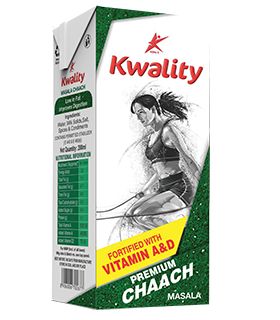 For improving the health and immunity of the dairy animals, Kwality is supplying quality feed supplements manufactured by the NDDB subsidiary company. Company covers 300 villages in Uttar Pradesh and 250 villages in Rajasthan. Plans are underway to cover more villages in the coming years to provide quality medicines and vaccines for the animals. Company had served free veterinary services through trend doctors/staff and through audio visual presentation and has also collaborated with the NDDB-IIL to provide animal breeding services to milk producer members of the company in 287 villages. The programme is likely to be extended further in the coming years. 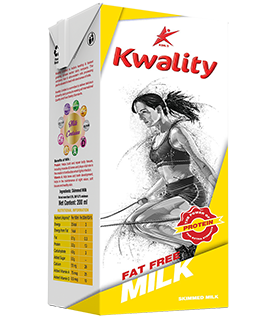 Kwality has also signed Memorandum of understanding with Allahabad Bank, Bank of India and the Punjab National Bank for financing of dairy animals to the milk producers in Rajasthan and Uttar Pradesh. 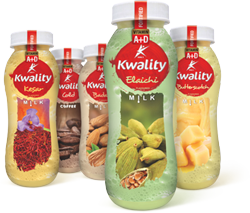 The dairy animal induction programme through the Allahabad Bank has been titled as the “Kwality Ltd. Allahabad Bank Kisan Kalyan Yojana (KAKKY)”. It is widely recognized that the dairy and animal husbandry education and research is well spread in India. But the major deficiency is taking the results of lab research and developmental education to the milk producers who are the end users. Company took up a major programme for rural level capacity building. Workshops were conducted to prepare our field staff so that they are made capable and efficient in communication to the milk producers. The subjects included livestock nutrition, health and animal productivity. Company’s rural extension team conducted a few workshops for village level service providers covering 580 VSPs. Company’s extension team and VSPs together then conducted 598 milk producers’ awareness programme. A total of 12,555 milk producers participated in these educational and awareness development workshops at village level. Smt. Sona Devi from Sabka village and Smt. Kunti Devi from Sirsali village, Uttar Pradesh participated as company’s delegates in the Second All Indian Women Entrepreneurs Workshop held on 21st February 2013 in Delhi. Smt. Sona Devi shared her experiences of managing a small dairy animal- herd of 10 animals as women dairy entrepreneurs. Her efforts and contribution was applauded by the delegates. On the same day, both of them were invited by the All India Radio, New Delhi. They delivered talks sharing their practical experience and wisdom on dairy animals feeding, breeding and management. Their talk was later broadcast by the AIR under ‘Krishi Jagat’ programme. 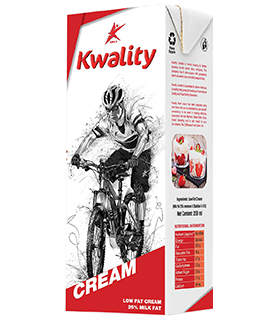 Kwality Ltd. defines Corporate Social Responsibility above the philanthropic activities and encompasses all related concepts such as corporate sustainability, business responsibility and corporate citizenship as the way a company balances it’s economic, social and environmental objectives while addressing stakeholder expectations and enhancing shareholder value. 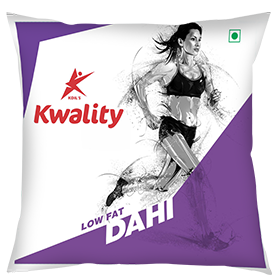 The Company is in Dairy sector, which is an important primary source of livelihood for Indian rural families. Its main object is to provide rural employment and income generating opportunity particularly for small, marginal farmers and landless labour (men & women). The Company shall continue to have among its objectives the promotion and growth of community residing in the vicinity of its plants, MCCs etc where it seeks to actively assist to uplift the social economy, standard of living and making this community self-reliant as community living around many of our factories comprises the weakest sections of rural and tribal India with no access to basic amenities. 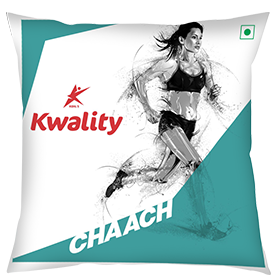 Kwality Ltd. has undertaken social volunteering practices long before the term corporate social responsibility was coined. 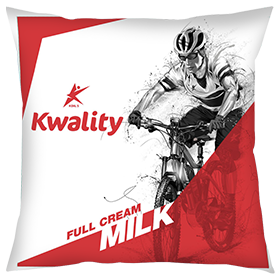 The Company has initiated structuring facilities through outsourcing to help the milk producers, who are directly linked in our commercial milk procurement activities. In order to help such farmers increase the productivity of their quality cattle and buffaloes, KDIL has provided, on a principal of no-profit-loss, good quality feed. Attempts are on to provide such other technical inputs as vaccinations, artificial insemination, and free advice on prevention and cure of common diseases. To recommend activities for investment. To ensure the minimum amount required by the law is invested/spend. To monitor the policy from time to time. To monitor the implementation mechanism. A Business requirement reporting mandated by the SEBI has to be made. To review the past as well as present CSR activities and their alignment. Any other duties and responsibilities recommended by the Board. 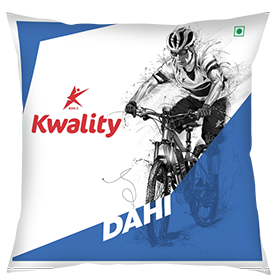 The Company will also collaborate with other companies for undertaking projects or programs or CSR activities in such a manner that the CSR committees of respective companies are in a position to report separately on such projects or program in accordance with the CSR rules. The CSR projects or programs or activities undertaken in India only shall amount to CSR Expenditure. The CSR projects or activities that benefit only the employees of the Company and their families shall not be considered as CSR activities in accordance with Section 135 of the Act. Companies will build CSR activities of on their own as well as those of their implementing agencies through Institutions with established track records of at least three financials years but such expenditure including expenditure on administrative overheads shall not exceed five percent of total CSR expenditure of the Company in one financial year. Contribution of any amount directly or indirectly to any political party under section 182 of the Act, shall not be considered as CSR activity. Medical and health welfare facilities for the villagers including their animals. Initiative in education especially for girl child including contributions for schools, scholarships or grants for higher education etc. Empowerment of the women of the village by forming Women Self Help Group and taking steps in providing them training in vocational activities, carrying out micro business activities etc. including educating them on women and child welfare, cleanliness and financial inclusion. Helping the villagers in getting loans for animals, vehicles or even construction of pucca houses loan by tying up with banks. Acting as an agent for villagers to help them in getting the benefits in the form of subsidies etc. from State and Central Government schemes for rural upliftment. Other activities for the upliftment, providing education and employment and welfare of the villagers. The CSR initiative may include the above mentioned activities but would not be restricted to the same. The CSR committee shall also monitor the process of such activities, projects or programs. The CSR Policy of the Company shall specify that the surplus arising out of the CSR projects, programs or activities shall not form part of the business profit of the company. Provided that the CSR activities does not include the activities undertaken in pursuance of normal course of business of the Company. Provided further that the Board of Directors shall ensure that activities included by a company in its Corporate Social Responsibility Policy are related to the activities included in Schedule VII of the Act. CSR Expenditure shall include all expenditure including contribution to corpus, for projects, programs relating to CSR activities approved by the Board on the recommendation of its CSR Committee, but does not include any expenditure on an item not in conformity or not in line with activities which fall within the purview of Schedule VII of the Act. The Board’s Report covered under these rules pertaining to a financial year commencing on an after 1st day of April, 2014 shall include an annual report on CSR containing particulars specified in Annexure ‘annexed herewith. The Board of Directors of the Company shall, after taking into account the recommendations of CSR Committee, approve the CSR policy for the Company and disclose contents of such policy in its report and the same shall be displayed on the Company’s website, if any, as per the particulars specified in the Annexure ‘B’ annexed herewith.